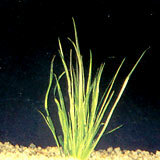 Blyxa japonica has not been used in aquariums for long, so little experience has been gained with it so far. In general it is difficult, and probably demands both soft water and CO2 addition to thrive. But it is highly decorative. Copyright 2004 www.vaquariumthailand.com All Rights Reserved.